“I have worked with a lot of wonderful people to develop the capacity of the community foundation through the years. During that time, I experienced the true dance of community connection: learning in public, when to lead, when to follow; all the while just dancing together! Robust conversation being a mainstay. As the Foundation grows, we have discovered it’s really about bringing citizen ideas into fruition and being a stop-gap organization for existing assets within the community. I am proud of the reputation of the Foundation-the deep feeling that we can be counted upon for what the community needs and wants. We are known to be grass roots, responsive and timely. The appreciation, feedback and support of our community is intense and I am continually inspired to work alongside this community. We have a diverse team of staff, board members, AmeriCorps VISTA’s and volunteers to respond to community opportunities! by catalyzing change and sharing resources to build a strong, vibrant, resilient, inclusive community. We have a diverse team of staff, board members, and volunteers who respond to community opportunities and needs. Together we work for a common purpose, to help our non-profits thrive, ensure our community members have their needs met and to help meet the needs of our community. We invite you to browse our financial and organizational documents that support our culture of transparency, trust, and commitment to donors, nonprofits, and our community. Our Tax ID Number is 20-0192255. 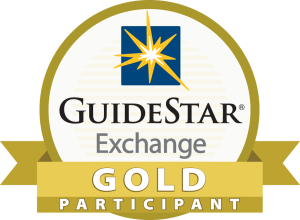 We’ve received the GuideStar USA Exchange gold logo as a symbol of our commitment to transparency! View our profile.